The General Assembly introduced three bills on managing the water quality crisis we are facing due to emerging contaminants like GenX. Representatives Davis, Grange, Iler, and Brisson introduced House Bill 972. Senators Lee, Rabon, and Meredith introduced Senate Bill 724. Representatives Butler, Harrison, W. Richardson, and Floyd introduced House Bill 968. It is not at all identical to the others – but, it is not likely that our legislature will consider it. The large majority of the $10.3M in funding proposed in this bill would go to the NC Policy Collaboratory to fund university-based research. The Legislature has cut the DEQ budget for seven consecutive years; it is now critically important to shore up the agency. The cuts to water programs include a 41% reduction in water quality staff (70 positions). Inadequate staffing at DEQ has resulted in a backlog of 40% of existing permits, allowing dischargers to continue to operate under expired permits which may not require the necessary pollution controls. Section One may interfere with ongoing court cases and push DEQ toward a slower process that could tie up the enforcement action in administrative appeals before ever reaching a court. Although this section appears to give the Governor new legal authority to shut down Chemours, the Secretary of DEQ, with the concurrence of the Governor, already has authority under existing law to order a facility to immediately halt air or water contamination that is causing a generalized condition of pollution that imperils public health. In addition, this section would expire in December of 2020, so would not apply broadly to pollution and public health emergencies going forward. amended state law to prohibit any air emissions that pollute waters from being considered a “discharge,” in effect authorizing by law all air emissions that pollute waters. contamination. Section Four does not mention the polluter’s role. Instead, it appears to shift the entire responsibility onto DEQ. Section Twelve creates a scheme where someone may be liable for contamination even if their discharge of PFAS is inadvertent. For example, it could come from dissolved PFASs in laundry or dishwashing greywater. This section is so broadly worded that it could create liability for wastewater treatment plants simply because PFASs have been widely used in consumer products for decades. The contents of this bill warrant full consideration: committee meetings, the opportunity for public comments, and the possibility of amendments. Early last fall, the legislature established a committee in each chamber to ensure a full and transparent process to solve the problem of emerging contaminants. This is not something that should be dropped into a conference report or the budget straight from the corner offices. The 250,000+ people who have been impacted by the GenX crisis deserve nothing less. These bills fall short. The NCDEQ has been gutted for the past seven years and is dealing with a massive backlog in permitting, while shuffling staff to handle the GenX crisis. They need full funding to handle the water quality issues across our entire state. Suggested script: When considering the bills on emerging contaminants, I urge you to protect people – not polluters and give the NC DEQ – the only environmental regulatory body in the state – the full $14.5 million needed to identify and stop water contamination across our state. For you policy wonks out there who want more specifics on the bills – read on. and study the air emissions and atmospheric deposition of GenX and other emerging compounds. $279,050 to the Division Waste Management for sampling and analysis of PFAS in groundwater wells, soil, and sediment. Conduct non-targeted testing of finished water from the Sweeney treatment plant and water in the Aquifer Storage and Recovery Well (ASR) – to identify any and all PFAS or other chemical compounds in the water. Install temporary ion exchange and carbon filtration systems and test their effectiveness. $530,839 in recurring funds for DHHS to establish a water health and safety unit, which may include a medical risk assessor, a toxicologist, an epidemiologist or informatics expert, and a health educator. AND that the DEQ has known about the discharge for at least one year. It requires that DEQ create and implement a remediation plan to clean up contaminated groundwater and surface water and submit plan by Jan 1, 2019 – this should fall on the polluter. It hampers further the process of setting a state health goal in that it requires the DHHS work with NUMEROUS organizations on the process. It requires permit-holders to submit documentation of pollutants with a CAS (Chemical Abstracts Service) number in their current NPDES permit and certify under oath that the data is accurate to their knowledge. $1,500,000 in nonrecurring funds for planning associated with needed upgrades to the Department’s Reedy Creek Laboratory, in which water quality, water resources, and air quality analysis is performed. $2,643,474 in recurring funds for positions and operations support for the Department to launch a permitting transformation project to improve transparency and streamline the permitting process by providing online access and tracking for all permits. And an additional $250,000 in recurring funds to DEQ to partially restore funds eliminated by the 2017 budget appropriations law. $536,000 in recurring funds to DHHS for positions to identify and prevent adverse health effects due to toxic substances, including a medical risk assessor, a toxicologist, an epidemiologist, and a public health educator. Prohibit any facility from discharging into state waters any toxic waste for which the EPA or the state has not established a health advisory limit. If a facility is found to discharge a toxic waste without a standard or health advisory limit, or above such limits, the permit will immediately be suspended by the Environmental Management Commission. Facility must include any discharges in its permit request; if a chemical does not have a CAS number, the facility must provide sufficient detail on the characteristics of the pollutant in the permit request. Facility must provide filtration and treatment for water supplies contaminated with pollutant not authorized by permit, or in excess of permitted limits. Finally, its been more than 30 years that they were allowed to pollute our water. What do you think of the river being renamed as a swamp? Hi Mary. Thanks for your comment. We hope the legislature reconsiders this bill to ensure our DEQ has the capacity to protect our drinking water from polluters. 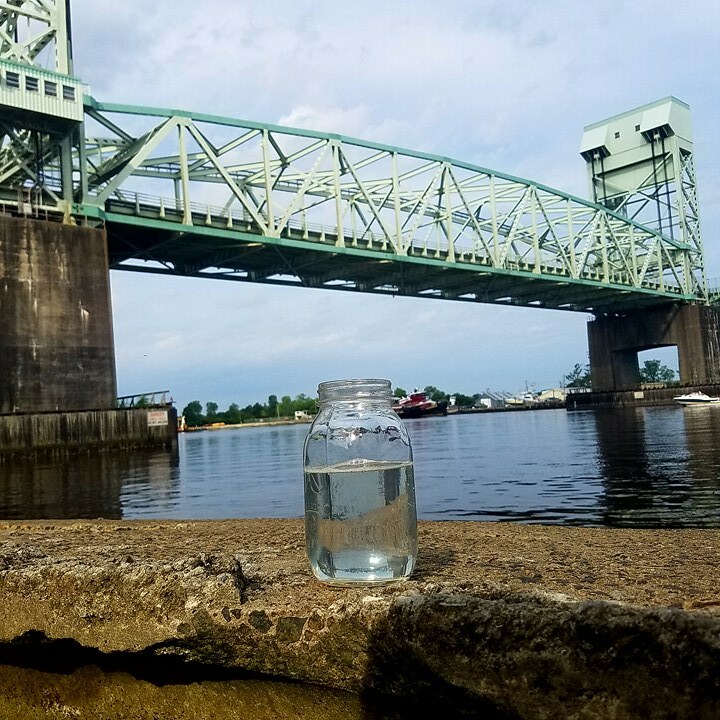 We disagree wholeheartedly with the reclassification of a portion of the Lower Cape Fear River. You can find more information on that topic under the heading ‘Cape Fear Swamp’ on this site. Nice concise summary. Let’s hope enough people care to read and vote accordingly. Thanks so much for reading and for your comment, Paul. Hi Denna. Thanks so much for your comment! Yes, you can receive an email with each new post by signing up at Cape Fear River Watch. Go to: http://www.capefearriverwatch.org/action/sign-up.